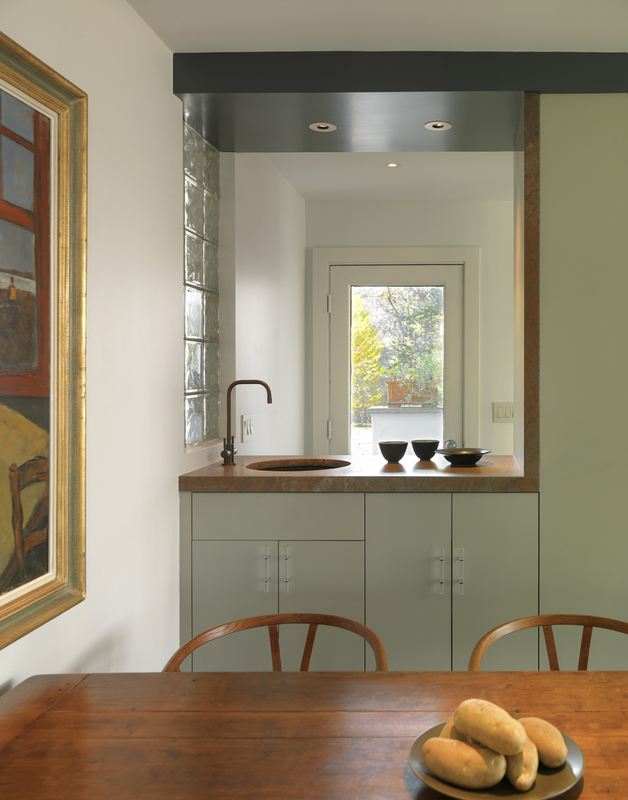 For this project, the owner, an author of a book on Modernism in Lincoln, MA, wanted to restore and reinforce Modernist sensibilities to the existing and renovated spaces of her home. Drawing inspiration from Modernist influences and the captivating views to river and bay, large new openings were created to dissolve the visual boundaries between inside and out. Situated on a height-of-land overlooking the Sudbury River and Fairhaven Bay in Lincoln, MA, this residence embraced the emerging Modernist design principles when originally constructed in 1940. D. W. Arthur Associates was invited by the current residents to reconfigure interior spaces to better suit their current preferences while respecting the original Modernist character. The design included reconfigurations to the original kitchen and subsequent additions to create a composition of spaces for day to day living, and to better integrate spatial connections within the entire house. A new mud room, family room and secondary dining area are arranged as a continuous flow of spaces between the original living room and a screened porch overlooking the gardens and woods. 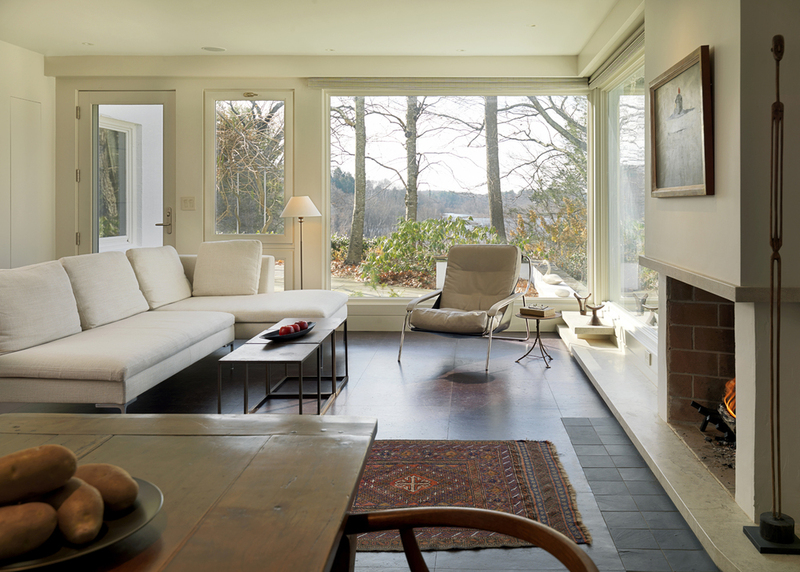 As the views to the surrounding landscape and water beyond are exceptional, the south and west sides of the family room were opened up with large expanses of glass. Patios, planting beds and garden walls are detailed to expand the sense of space and further connect the interior with the landscape. For example, the limestone shelf that comprises the fireplace hearth is continued through the exterior wall and becomes the capstone of a garden wall, doubling as a seating bench overlooking a sunken garden.